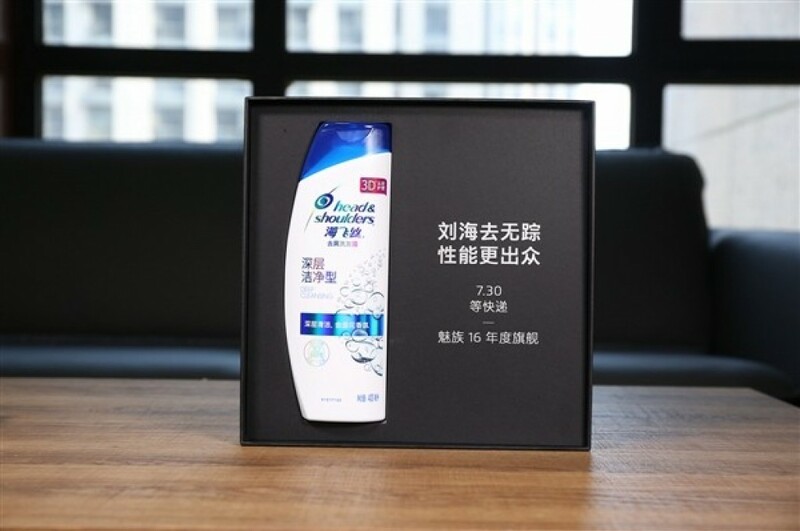 By now we know that Meizu is going to launch its new set of smartphones for 2018 on April 22. The trio in spotlight are- Meizu 15, Meizu 15 Plus and Meizu M 15. 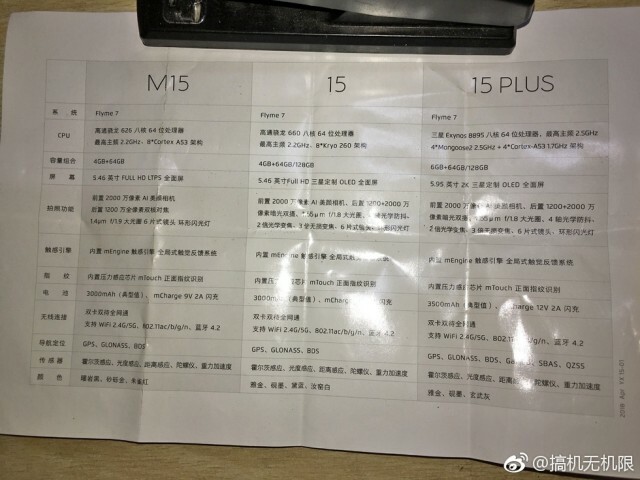 Just ahead of the launch, a document has appeared on Weibo (Chinese micro-blogging site) which leaks full specifications of all three smartphones. 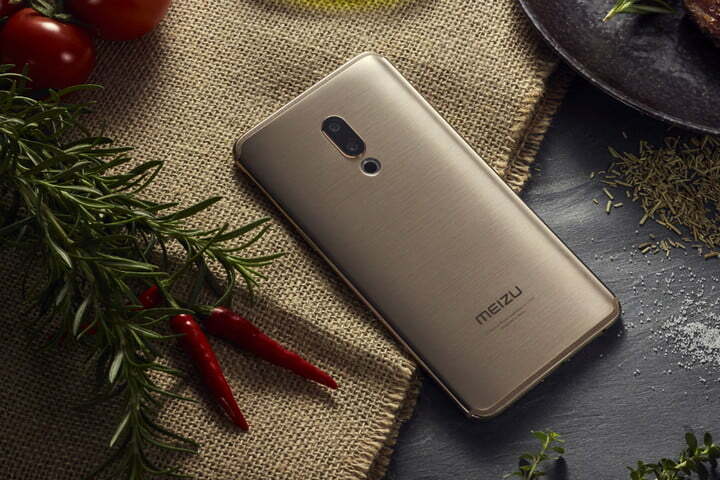 Meizu 15 will feature 5.46-inch full HD+ OLED display and will be powered by a Snapdragon 660 SoC along with 4GB of RAM and 64GB/128GB ROM. There will be a dual camera set up of 12MP + 20MP with f/1. 8 aperture. The front will feature a 20MP selfie sensor. The camera will come with AI features to enhance your photos. The phone will be backed by a 3,000mAh non-removable battery which will support mCharge 12V/2A fast charging. Meizu 15 Plus will sport a slightly bigger 5.95-inch QHD OLED display. Under the hood, the device will be powered by a Exynos 8895 SoC and 6GB RAM. The internal storage capacity of the device will be 64GB and 128GB. The camera setup will be similar to that of Meizu 15. The battery will be a 3,500mAh with mCharge (12V at 2A) fast charging tech. The ‘Lite’ variant of Meizu 15 will be called as Meizu M15 and it will come with 5.46-inch full HD+ LTPS LCD display, Qualcomm Snapdragon 626 octa-core SoC, 4GB RAM and 64GB internal storage. Unlike the Meizu 15 and Meizu 15 Plus, the Meizu M15 will sport single rear camera of 20-megapixel and a 12-megapixel camera on the front for selfies. All three phones will be shipped with Android 7.0 Nougat OS with Flyme 7 UI on top. The phones will also feature a side-mounted fingerprint scanner. Keep watching this space as we bring you all the updates of Meizu’s launch event on April 22.